ARLINGTON, VA - June 28, 2018 - Hobsons, the education technology leader and company behind Naviance, will present at the 2018 Urban Superintendents Summer Academy in Louisville, Kentucky on July 13. 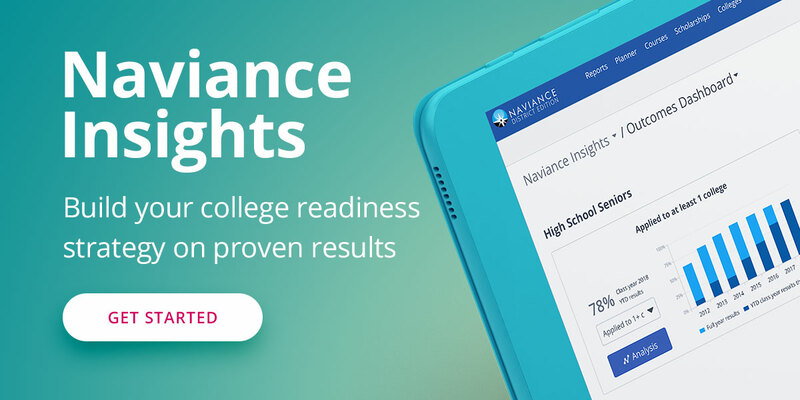 As part of Naviance by Hobsons’ recently announced Ladder of Hope white paper and webinar series, members of the Naviance team will present “The Ladder of Hope: The Urgent Need for College and Career Readiness” at this year’s USAA Summer Academy. Over the past 20 years, the United States has seen a drastic shift in the demographics of urban areas. Between 1995 and 2013, the country has seen a 55% increase in the number of students on free and reduced lunch. This shift has been especially significant within urban areas. As of 2015, roughly two-thirds of students in the country’s largest 10 school districts are low income. In areas such as New York City and Chicago, the percent of low-income students is much greater. As populations of underserved students continue to rise across the country, it is more important than ever to establish best practices and resources to support underrepresented students’ success. The session will explore how school districts are creating a “Ladder of Hope” for students by making high-quality college, career, and life readiness resources accessible for all students - especially underrepresented populations. The presentation will take place on July 13 at 9:15 a.m. - 9:35 a.m. EST in the Medallion CD Ballroom of the Seelbach Hilton Hotel.